The novelty of receiving a monthly delivery of curated goods seems to have taken off in a big way, particularly during the last year or so. From coffee to cats, there’s a subscription box service for everyone. (Talking of coffee, I can’t recommend Pact coffee enough – a truly great subscription service for those of us who are ‘coffee snobs’). I’ve reviewed subscription boxes in the past (see here and here), and have received subscription boxes that I’ve chosen not to review. However, one of the newest ‘kids on the block’ (or should that be ‘puppies in the park’) is barkbeats. They kindly sent me a box to review for Christmas, but university and work pressures got in the way. Then, on Wednesday this week, I received another package – it wasn’t an April Fool’s joke (phew!) – but an early Easter present - a barkbeats box. Having worked in marketing for most of my adult life, I can’t help but look at the packaging – after all, first impressions count (whether we like to think so, or not). I like the barkbeats packaging – a sturdy cardboard box, with clean branding a ‘bb’ on the lid and ‘barkbeats’ on the side, indicating that an array of doggie delights await the recipient. It is understated, yet made me want to rip open the box to find out what it contained. On opening the box, you’re greeted by the cheerful red and white barkbeats packaging, fastened by the bb seal. Peel off the seal and you find a little treasure trove of carefully wrapped and hand-picked items. A shrink-wrapped liver ‘chocolate’ brownie (don’t worry – there’s no chocolate in it, just carob). The ingredients were clearly marked (chicken liver, carob, olive oil, wheat flour, yogurt and natural food colour), and judging by the sniffs from Ava and Jasper, the contents will be ‘pawsome’ (I’m saving it for an Easter Sunday treat for them). The next gourmet treat was some beef dog cookies from Dog Bakery HOV-HOV. 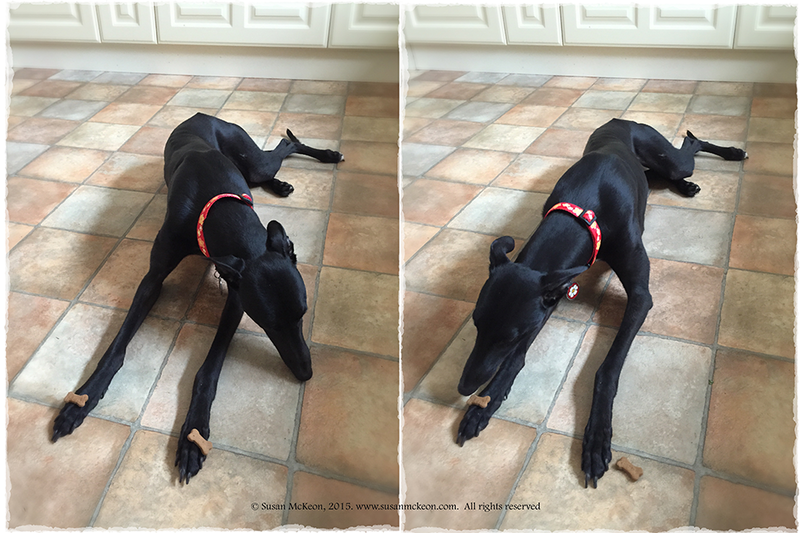 The cookies are bone and dog-shaped crunchy treats, and definitely received the Ava ‘seal of approval’ (see photos). Ingredients were clearly listed – whole wheat flour, beef, cheese, eggs, garlic, olive oil and carrots – and the packaging meant you could easily see the cookies. I tend to stick with using small pieces of chopped meat/chicken/cheese/sausage and liver cake (see here for my great liver cake recipe) when I’m training with Ava and Jasper, however there are times when having a stinky cheese/meat hand is a less than appealing prospect! There are a few products on the market that aim to reduce the need for having sticky/stinky hands and the roller pop is one of them. The flavour in the box was salmon – and it certainly seemed to be a hit with Ava (see photo). I did wonder what the ingredients were and the composition is listed as: salmon (12.2%), glucose, chicken (hydrolysed poultry protein), isomalt, maltodextrin, brewer’s yeast powder. I’m always keen to know what I’m feeding my hounds and as I’d not heard of Isomalt, I looked up what it is, and discovered that it is a sugar substitute made from beets and that is approved for human consumption in most countries. It has also been shown to extend the shelf-life of certain products, which has led to its widespread use as a preservative and has only a very minor impact on blood sugar levels (source: http://www.wisegeek.com/what-is-isomalt.htm). Maltodextrin is a polysaccharide that is used as a food additive often used in processed foods as a thickener or a filler since it's fairly inexpensive. So, whilst the ingredients don’t overly worry me, it’s not something that I would use on a regular basis – but it is definitely something that I would keep in my ‘training tool-kit’ for both my and clients’ dogs. I love using food puzzle games with my dogs – most of Ava’s meals are dispensed through a variety of food puzzles and food dispensing games. The Busy Buddy range of toys is well known, with probably the Waggle and Tug a Jug the best known, and they are useful toys for keeping paws and jaws active in the right way, but (and it’s a big but) they’re made by PetSafe. What’s wrong with that you might say? In my case, it’s all to do with ethics – Petsafe do make some great products but they also make and promote the use of electric shock collars, electric containment fences and anti-bark (spray, pulse, shock) collars (see: http://intl.petsafe.net/en-gb) . I try not to buy Petsafe products due to this – but that is my personal choice. The final part of the package was the Arquifresh wipes – a travel sized pack of hygienic wipes for cleaning ears, around eyes/face etc. The wipes are PH neutral and were nice and moist, but they do have a strong scent that even a human nose can detect. Overall verdict of a barkbeats box? A Pawsome 4½ paws out of 5! I’d certainly give the barkbeats box 4½ paws! Ava and Jasper loved the contents – the box would have received a full 5 paws but due to Petsafe, I couldn’t give it a full 5 paws. The box provides great value for money and on the plus side, the squeaky Kyjen reindeer (from the Christmas box) is still in on piece! A small miracle given Ava’s squeaker seeker & destroyer ways. I’d certainly consider a barkbeats box as a gift or as a regular treat for the hounds. Thanks to the guys and gals at barkbeats you can enjoy your first box for the reduced price of £9.90* (*instead of £14.90). Simply enter the special code: DIARYCC5 when you place your first order to get £5 off. 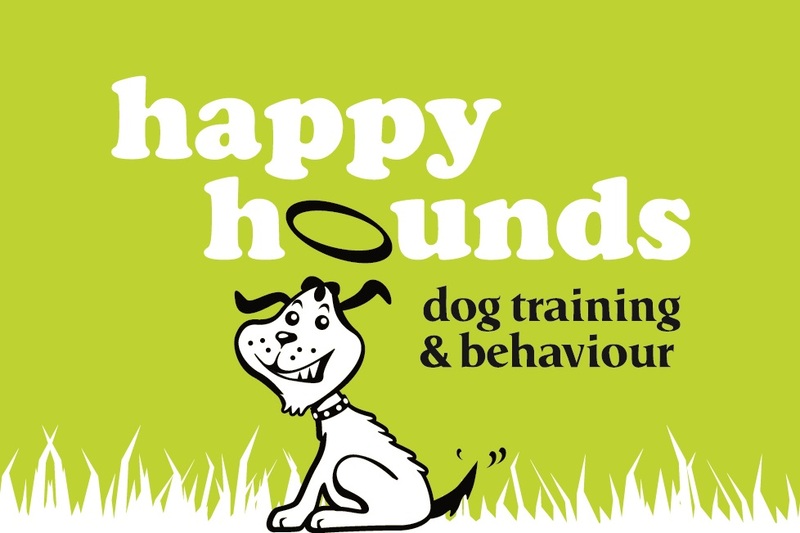 Visit: www.barkbeats.co.uk to find out more. *Disclosure: I was provided with two free promotional barkbeat boxes to review . I have not been paid for my views and all views expressed are my own.